What about a birthday card to start this month ? So you probably are asking yourself how I cut the design to match the stamp, hum ? 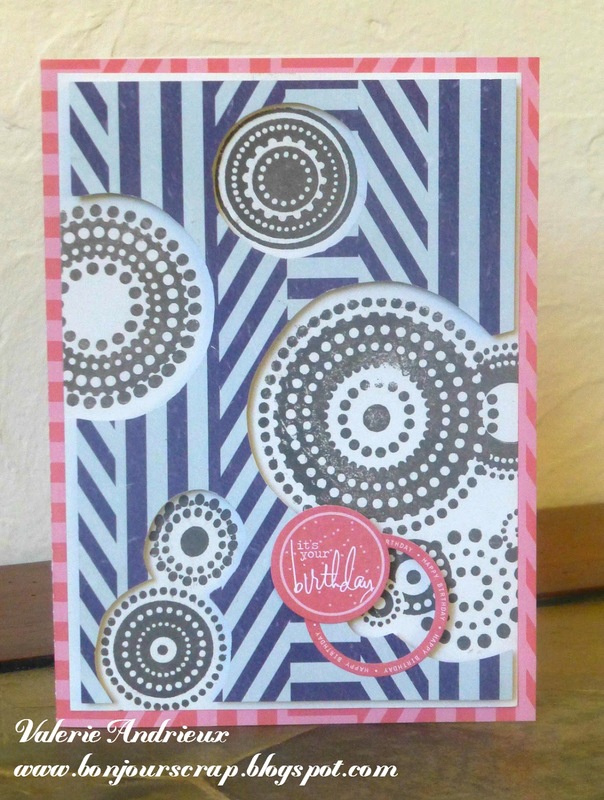 If you like the pattern papers, they came from the Coral and Navy stack by DCWV (I was lucky to receive them in my guest DT kit...), and the small birthday sticker is by Heidi Swapp. So if you want to play with the sketch, you can upload your project to the Feeling Sketchy blog. We have a great sponsor this month : Lacy Sunshine ! Great designed card, love it. 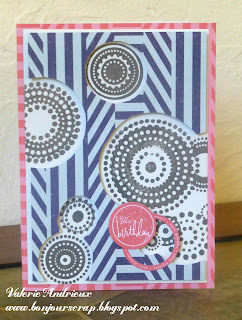 Great work with the sketch... cute card! !